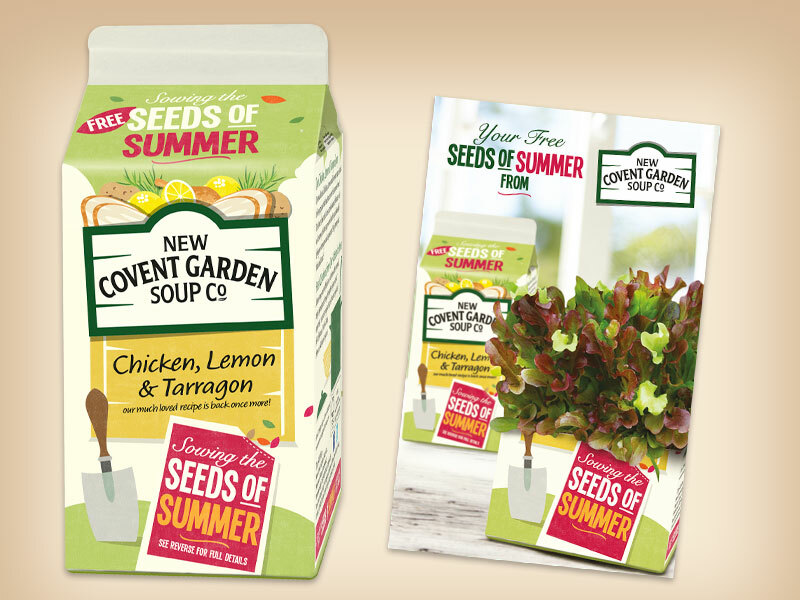 Haine Daniels Group, which encompasses the New Covent Garden Soup Company approached Mr Fothergill’s with a request to activate an on-line promotion. Details could be found on their soup cartons “Sowing the seeds of Summer”. It was organised as an ongoing redemption offer and we also undertake the fulfillment.